The FBI doesn't know what to do with Analyst Caycee Scarlet. She's brash, brilliant & brutally relentless when tracking a serial killer. But she also has a temper, problems with authority figures and recognizing the chain of command. Things go sideways for Caycee when she uncovers a lead that saves the Omega Killer's latest victim. Rather than working the system and making nice with her pompous boss, sparks fly and she gets into an altercation with the lead Special Agent on the case, resulting in a transfer to another assignment. Caycee finds herself transferred to an FBI interrogation facility where she assesses the most dangerous of criminals in custody. She struggles to get over the loss of her dream job, but her new boss, handsome Special Agent Gil Graham, may soften the blow. Sparks, of a different variety, fly between the Special Agent and his new Analyst, as they work together to crack the most difficult cases. Just when Caycee's wounds are healing from her expulsion on the Omega Killer team, she is dragged back into the thick of it. Caycee and her new team are front and center, focused on an interview of a bombing suspect, when Omega comes looking for revenge. His attack wounds her team, leaving Caycee with only one option for help-the devastatingly handsome bombing suspect. It will take all of Caycee's wits, and a kiss for luck, to stop Omega and save her co-workers. Ann McGinnis writes about characters that let their egos and sense of justice rule their lives, while they protect the public from serial killers and unthinkable crimes. Of course, Ann's characters always find a way to blow off steam -- romantically! 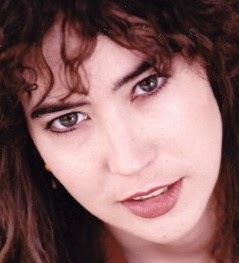 As a writer, Ann comes from the world of action/thrillers and screenwriting. She has two scripts currently in development. A third script, about a spunky FBI analyst, is the basis of "Scarlet Revenge" and the main character Caycee Scarlet. It is the first book in a series, with Book 2 “Scarlet Envy” coming out in September 2014. 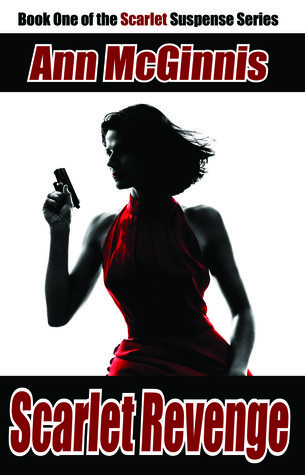 Caycee Scarlet joins the FBI as an Intelligence Analyst and proves the very first day that she was born to be an IA. She puts a good memory, common sense and the world wide web together to reveal an important clue about the location of a possible serial murderer's victim. The info is spot on and FBI Special Agent Wilkes' team succeeds in thwarting serial killer Omega's plans to murder one more victim. But he hogs all the credit, leaving Caycee frustrated. She dares Wilkes and he throws her out of the team. Before Caycee can figure out that she's fired, another Agent Gil, who's been watching her closely, picks her up for a three-member FBI team working from a remote location. Gil is handsome and unattached, and Caycee can't help succumbing to his physical charms. They're in a dilemma because she can't keep herself away from him and being boss and subordinate, they can't openly declare their relationship. Her interest in the Omega murders keeps her connected to the case from which she'd been dropped unfairly. Omega, as it turns out, has an ego which can't accept that his lid was blown by an intern and takes it personally. Too personally, in fact. He picks Caycee as his next victim, and she finds herself face to face with her killer. Ann McGinnis weaves a hell of a plot for a romance novel. Crime, passion, backstabbing colleagues, cold blooded killers, pace, action and nail-biting sequences - it's all there. One can't help feeling that the book could have been better if all characters had been designed as painstakingly as that of Caycee Scarlet. Gil, Wilkes, Nina, Omega - all are extremely interesting characters but seem to be bound by an oath that they won't be better than Caycee. Omega is the lead baddie but is outshined by Hicks all the way. Wilkes is put out of action pretty early, Gil is injured and stays injured for longer than necessary, Nina's entries and exits trigger the story forward but she's always missing in action. Everything seems sort of designed to let Scarlet be the hero. One might say that all weaknesses can be excused under the genre of romance. But even romance just shows its face in the beginning and then appears to have hidden in the weapons locker, afraid of all the criminal elements. In the end it turns out to be a mix of crime, romance and stunts which leaves you baffled. If the FBI is really as bad as it is shown here, all FBI offices would be ideal hangouts for criminals. But Caycee Scarlet steals the show with her verve, intelligence and bravado. She deserves a better team. The Biggest Giveaway in the World of Books! The Tornado Give Away - Are you armed for it?